PokerStars has expanded its operations considerably from the time it started its online presence. The recent news of its business expansion is obtaining of a casino license and running an online poker room in Portugal. Formal approval has come through for it to launch operations for a casino and online poker in Portugal. Gaming overseers in Portugal have made a formal announcement that they are issuing gaming license to REEL Europe, which is the offshoot venture of Amaya Gaming that runs European operations for PokerStars. PokerStars is owned by Amaya Gaming though its European presence is managed by REEL Europe Ltd. As a result the Pokerstars.pt is the new website to be launched. The License from SRIJ titled 005 will allow PokerStars to offer different kinds of online gaming activities on the site. For instance, you will be able to find tournament poker on the site as well as cash games like hold’em or Omaha, French roulette and blackjack. The website adds on legal gambling options for Portuguese players. This is a first since July 2015 when PokerStars exited from this segment as new gambling regulations came into circulation. If you visit the site, it is still under construction and the backing activities are being completed as of now. The presence of the site will remain diminutive till liquidity sharing with regulated markets is discussed with European Union member countries. SRIJ has made this is a first instance of the approval which has been given to PokerStars. The website becomes the third site in the country to offer online casino games. The website would be competing against websites like casino and sports betting owned by Betclic Everest Group or Bet Entertainment Technologies which is based out of Malta. 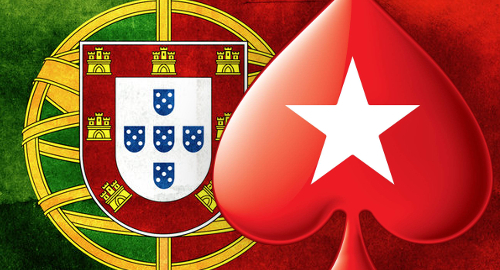 It remains to be seen how well PokerStars works in Portugal and whether it can repeat its success in this country.